Since I’m soliciting donations to support my Debian work, the least I can do is explain what I do. You can thus expect to see an article like this one every month. I updated the code to use another layout for the control files stored in /var/lib/dpkg/info/. Instead of using a sub-directory per architecture (arch/package.type), we decided to use package:arch.type but only for packages which are Multi-Arch: same. dpkg is taking care to rename the files the first time it is executed with write rights and then updates /var/lib/dpkg/info/format to remember that the upgrade has been done and that we can rely on the new structure. I filed a few bugs on packages that are improperly accessing those internal files instead of using the appropriate dpkg-query interface. I sent a heads-up mail on -devel to make other people aware of those problems in the hope to discover most of them as early as possible. After that, the work stalled because Guillem went away for 2 weeks and thus stopped his review of my work. I hope he will quickly resume the review and that we will get something final this month. With the arrival of dpkg 1.16.0, it’s now possible to start converting libraries to multi-arch even if full multi-arch support has not yet landed in dpkg proper. See http://wiki.debian.org/Multiarch/Bootstrapping for the detailed plan. If you’re curious about Multi-Arch, you might want to read this article of Steve Langasek as well. At the start of the month, there was close to 500 bugs reported against the dpkg package in Launchpad. Unfortunately most of it is noise… many of the reported bugs are misfiled, they show an upgrade problem of a random package and that upgrade problem confuses update-manager which tries to configure an already configured package. This generates a second error that apport attributes to dpkg and the resulting bug report is thus filed on dpkg. There are literally hundreds of those that have to be reclassified. Michael Vogt and Brian Murray did some triaging, and I also spend quite some hours on this task. It’s a bit frustrating as I tend to mark many reports “Incomplete” because there’s no way they can be acted upon and many of them are so old that the reporter is unlikely to be able to provide supplementary information. But in the middle of this noise, there are some useful bug reports, like LP#739179 which enabled me to fix a regression even before it reached Debian Unstable (because Ubuntu runs a snapshot of dpkg with multiarch support). I subscribed to the Launchpad bugs for dpkg via the Debian Package Tracking System (thanks to the derivatives-bugs keyword) and will try to keep up with the incoming reports. The ftpmasters came up with a request for a new field (see 619131) in source packages. After a quick discussion and a round of review on debian-policy@l.d.o, I implemented the new Package-List field. This should allow the ftpmasters to save some time in NEW processing, but we deferred the change for the next dpkg version (1.16.1) to ponder a bit more on the design of the field. I also fixed a bunch of bugs (#619541, #605719, #598922, #616096) and merged a patch of Mark Hymers to recognize the new Built-Using field. The review process for changes to the developers-reference is not working as it should. And I suffered from it while trying to integrate the patch I wrote for the “Developer duties” chapter (see #548867). We purposely changed the maintainer field from debian-doc to debian-policy in the hope to have more reviews of suggested changes and to seek some sort of consensus before committing anything. But we don’t get more reviews… and deciding to commit a patch is now even harder than it was (except for trivial stuff where personal opinions can’t interfere). In my case, I only got the feedback of Charles Plessy which was very mixed to say the least. I tried to improve my patch based on what he expressed but I also clearly disagreed with some of his assertions and was convinced that my wording was in line with the dominant point of view within Debian. We tried to involve the release team in the discussion because most of what I documented was about helping making stable release happen, but nobody of the team answered. Instead of letting the situation (and my patch) rot, I solicited feedback from the DPL and from another developers-reference editor to see whether my patch was an improvement or not. After some more time, I went ahead and committed it. It was not pleasant for anyone. I don’t know how we can improve this. Contrary to the policy, the developers-reference is a document that is not normative, I believe the result is better when we put some “soul” into it. But it’s a real challenge when you seek a consensus and that the interest in reviewing changes is so low. In February, I launched a DVD shop whose benefits are used to fund my Debian work. Shortly after the launch I used the official form to be added to the official listing of Debian CD vendors and offered a few suggestions to deal with vendors who are selling unofficial images (with firmware in my case). A few weeks later, I got no answers: neither for my request nor for my suggestions, I mailed the cdvendors@debian.org team directly asking for a status update and quickly got an answer suggesting that Simon Paillard usually does the work and can’t process the backlog due to some injury. At this point no concerns had been raised about adding me to the list. To save some time and some work for the team, I added myself to the list since I had commit rights and I informed them that I did it, so that they can review it. Shortly after I did that, Martin Zobel Helas objected to my addition. I cleared some misunderstandings but the discussion also lead to some changes to please everybody: the listing now indicates that some images are unofficial and I have prepared a special landing page for people coming from the Debian website through this listing. I have always been a firm believer that it’s important for Debian to reach out to the widest public with its message of freedom. Thus when Benjamin Humphrey contacted the debian-publicity team to find volunteers to write a Debian column on OMG! Ubuntu, I immediately jumped in. I wrote 4 articles over there. The tone is very different from my articles on my blog and I like that duality. Check out Debian is dying! Oh my word!, Debian or Ubuntu, which is the best place to contribute?, Are you contributing your share? and Ubuntu’s CTO reveals DEX: an effort to close the gap with Debian. It’s a great win-win situation, OMG! Ubuntu benefits from my articles, Debian’s values are relayed further, and OMG! Ubuntu’s large audience also helps me develop my own blog. I had lots of paperwork to do this month (annual accounting stuff for my company) and I did not have as much time as I hoped for my book. Still I have a updated a few more chapters of my French book and I certainly hope to complete the update during April. This means that the work on the English translation could start in may. Just like for my book, it has been relatively difficult for me to cope with my policy of two articles every week. But I still managed to get quite some good stuff out. I interviewed Christian Perrier (Debian’s translation coordinator) and also Bdale Garbee (chair of Debian’s technical committee). The removal of firmware is causing troubles to quite some users so I wrote an article explaining how to deal with the problem. A regular reader also asked me to write an article about Jigdo, I executed myself because it was a good idea and that he has been very nice with me: Download ISO images of Debian CD/DVD at light speed with Jigdo. Last but not least, I shared my package maintainer pledge which inspired my developers-reference patch (see discussion above). Many thanks to all the people who showed their appreciation of my work. The 324.37 EUR that you gave me in February represented 2 days and a half of my time that I have spent working on the above projects. As a package maintainer, I will do my best to help the Debian project release a stable version of our operating system. In particular, I will work together with the release team and I will keep all packages associated to my name free of release critical bugs. To this effect, if I’m not registered as being busy or in vacation, I will start working on my release critical bugs as soon as possible (in less than 1 week in common cases). If I can’t deal with them in a timely fashion, I will state it clearly in the associated bug reports, tag them help and invite other contributors either to provide a patch or to do a non-maintainer upload. I recognize that my work is not limited to unstable. I will also work with the stable release team and the security team to provide updated packages for the stable and/or testing distribution when some issues deserve it. I am aware of the limits of my skills and my available time and I will avoid packaging software that I would not be able to maintain properly. It tries to sum up the minimal expectations that Debian should have towards the package maintainers. I tried first to get this pledge integrated into the NM/DM process but the discussion concluded that it would be best to document this in the developers-reference. There’s already a chapter called “Debian Developer’s Duties” where this can nicely fit. I submitted this as a wishlist request for the developers-reference soon after and it’s still open. Now I went to the next step and prepared a patch that restructures the chapter about developer duties. See #548867 for details. 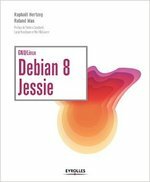 What Debian & Ubuntu topics would you like to read about? After having looked back at the first months of this blog, I also want to look forward and see how I can improve its content. If you’re a Debian/Ubuntu user and/or contributor, I want this blog to be a truly useful resource for you. What kind of articles would you like me to write? New in Debian testing: a regular column covering changes affecting testing users. Short presentations of software available in Debian/Ubuntu (like debaday.debian.net used to do). 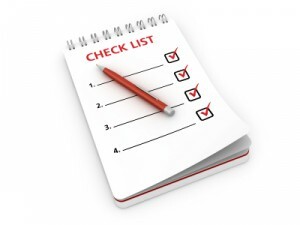 Articles covering wishlist bugs on developers-reference so that they can be easily reused to improve the documentation! Description of small tasks that one can do to start contributing. Pleases discuss and share your ideas in the comments. Don’t limit yourself to the above list, you know better than me what you need: tell me what kind of documentation was lacking in your daily usage of Debian/Ubuntu, or what could have been better explained while you tried to contribute to Debian/Ubuntu. While I set no limits on Debian/Ubuntu topics that I accept to cover, my main focus is around documentation for end-users and/or contributors. If you prefer you can also send your feedback with Identi.ca, Twitter or leave a comment in the entry for this article in my facebook page.